This article was originally about vReveal, a free desktop video editor that featured a simple shaky video correction feature. The app is no longer available, so we’ve updated to include a similar app that accomplishes the same task. 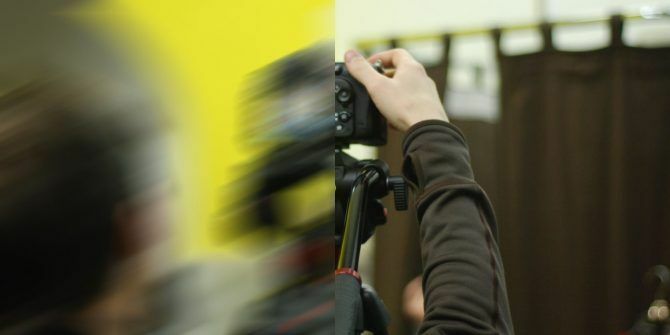 Whether you’re just learning to shoot video How to Learn Video Production for Free Online How to Learn Video Production for Free Online Want to learn how to edit and produce videos? The Internet has a wealth of free information and here are some of the better resources to get you started! Read More or are an accomplished videographer, everyone ends up with a shaky shot once in a while. Maybe you had to hurriedly capture a moment without setting up or just aren’t used to staying steady yet. Whatever the case, if you need a quick solution for stabilizing shaky videos, VideoPad’s free video editor has you covered. Grab the free version from the link above and run through the quick installation process. Then, click New Project to start a new file. Drag and drop the affected video files into VideoPad or use the Open button to add them to your project. Once it’s in, you can stabilize it right away — you don’t have to add it to the timeline below. Now, right-click the file in the Video Files tab and choose the Stabilize Video option. It will quickly download a plugin that performs the stabilization. Then you can choose your stabilization option. The default is High Quality but you can select Low, Medium, or Ultra Quality instead. Click the Advanced button to gain access to a host of options that lets you tweak the process to your liking — this isn’t recommended for novice users. You can click the Options button to change the compression and sound settings, however. Once you’re done, click OK and let the stabilizer do its job. This works well on shaky videos, but can’t work miracles in the case of extremely shaky clips. Give it a try and see if it can enhance the raw video Shoot Your Life: 5 Tips For Enhancing Your Video Memories Shoot Your Life: 5 Tips For Enhancing Your Video Memories With tools like 120fps frame rates on the iPhone 5s, action-packed GoPros, and even Google Glass, it's becoming clearer that our personal lives will not only be documented with photos, but with video. Read More you’ve got. Note that this doesn’t affect the original clip on your PC, so be sure to click Export Video to save the new version. Want to try another solution? Find out how Google Photos can stabilize your videos Google Photos Can Stabilize Your Shaky Videos Google Photos Can Stabilize Your Shaky Videos Google Photos is an excellent backup and storage tool. Google have added video stabilization to smooth those shaky clips. Let's take a look at what that means. Read More . Did this solution work for stabilizing your videos? Let us know how your video looks now in the comments! Explore more about: Video Editor.